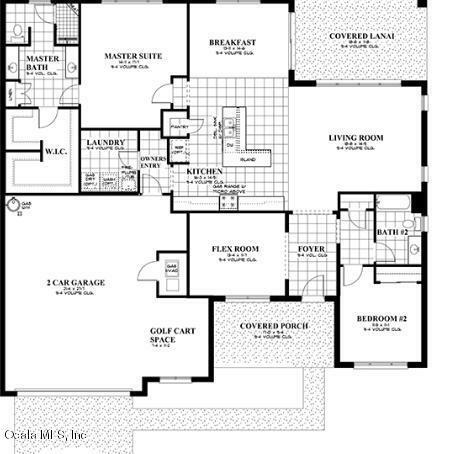 Beautiful 2 bedroom, 2 bathroom Beatrix model located in Avalon. This inventory home has a 2 car garage, with golf car space! There is an owners entry that leads through the laundry to the master suite for your convenience. This amazing home has more! As you enter the home there is a flex room for you to enjoy and a guest room and guest bath with quartz countertop. Next is the enormous open concept kitchen, great room and breakfast area, with beautiful crown molding, and 12'' x 24'' ceramic tile staggered set, for that designer look! The kitchen features stainless steel appliances, Quartz countertops, tile backsplash, and huge L shaped island! 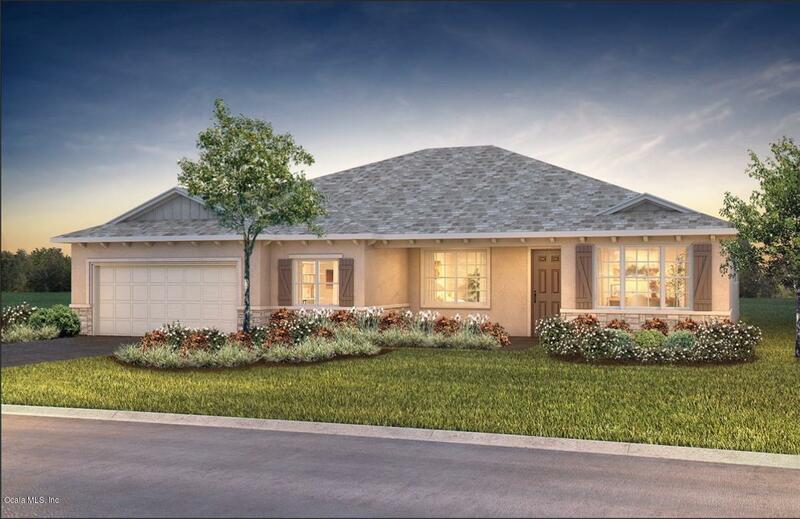 Master suite has separate sinks, walk-in shower, quartz counters, and massive walk-in closet.The spacious oversized lanai is perfect for entertaining or relaxing! Located in Ocala's premier, gated, active 55+ community, loaded with amenities, including golf cart access to two shopping centers.